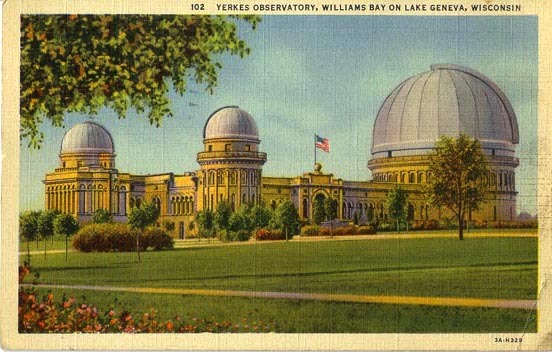 Yerkes Observatory, home of the world's largest refracting, telescope, sits on a high bluff above the shoreline of Geneva Lake in Williams Bay, Wisconsin. The observatory’s highest dome has become a fixture on the shoreline since the 1890s when it was built. man to the right of the woman in the white outfit. In 1892 a young assistant professor of astronomy at the University of Chicago named George Hale learned that two optically perfect discs were available and that they could be ground to create a 40-inch refracting telescope. In order to do this, of course, they needed funds. It wasn’t unheard of back then to approach wealthy men and ask them to totally fund such an endeavor. Hale and the university’s president, William Raney Harper, approached Charles T. Yerkes, a man who had made his fortune in Chicago’s electric railway system and asked him if he would fund the building of an observatory in southeastern Wisconsin, and the building of a 40-in refracting telescope. Yerkes was a rather colorful character reputation for dishonest deals, and had done time for embezzling. They knew how to sell something of this magnitude by appealing to the man’s ego. They proposed that the facility be named for Mr. Yerkes and reminded him that his name would be known to generations of people long after he was gone. Of course, the idea of his name being associated with something that would be the largest in the world didn’t hurt either. He agreed to fund the new observatory. Numerous sites were offered and suggested for the project, many in areas that today would be considered suburban Chicago. The site needed to be free of interference from smoke or jarring from passing trains. Eventually the site in Williams Bay, Wisconsin was chosen because of it’s distance from any large urban area and its clear night skies, especially in winter when temperatures were known to drop well below zero. Also, the town could be easily accessed from Chicago via a train that ran from Chicago to Williams Bay on a daily basis. Before construction had even begun on the new observatory, the telescope was part of an exhibit at the World's Columbian Exhibition in 1893. And that could have been the end of the telescope before it even reached its permanent home. A fire broke out near the Manufacturer's Building where the device was displayed. Mr. Harper took it upon himself to get the telescope dismantled and moved (all but the five heaviest pieces) before the fire could fully damage it. He reported that he left the building while it was still burning at 11:30 p.m. and was fairly certain the telescope was saved. It was. 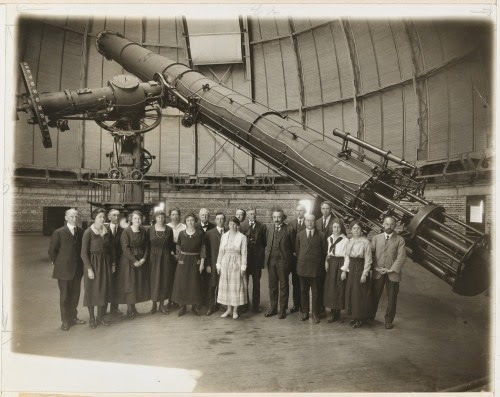 What is exciting is that the observatory is still the site of research today, over 100 years after it was built. Yerkes is also open to the public for tours and people can experience looking through an actual telescope during certain events. Go to the Yerkes Observatory website for more information on all that they offer. Here is a link to a fun travel article from a Milwaukee newspaper on Yerkes that points out some of the whimsy that can be found in the rather staid looking building. astrophysics or just wanting to view the solar system through a telescope, visiting Yerkes is a must! Interesting sidenote: William Raney Harper has a community college in Chicago's northwest suburbs named after him. I drive past the college often, but never realized who William Raney Harper was until I researched this article. History has so many connections with the present. I love that. Have you ever learned something unique in history about a location in the present day that you've taken for granted? A native of Lake Geneva, Wisconsin, author Pamela S. Meyers lives in suburban Chicago with her two rescue cats, an hour's drive away from her hometown which she visits often to dig into its historical legacy. 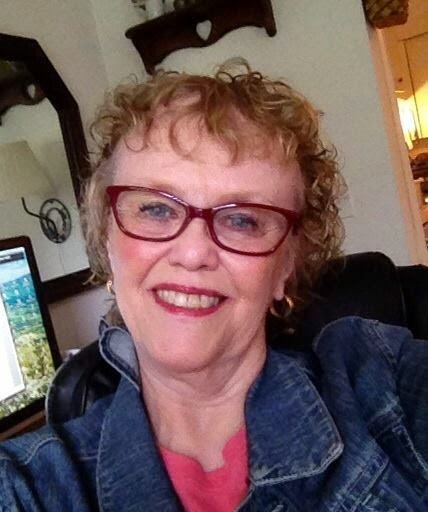 Her novels include Thyme for Love, and Love Will Find a Way, contemporary romantic mysteries and her 1933 historical romance, Love Finds You in Lake Geneva, Wisconsin. When she isn’t at her laptop writing her latest novel, she can often be found nosing in microfilms and historical records about Wisconsin and other Midwestern spots for new story ideas. Wouldn't it be cool to look out into space from that giant telescope?! I'm chuckling at how they got the funding of the observatory by playing on a man's ego. It worked though. I've always loved astronomy and visits to the planetarium were a special treat. I was awed by them. Would love to try out this telescope. Thanks for an interesting post. That approach might still work today with some wealthy men.